Does your accountant know the horse industry? We do! With over three decades of hands on experience in the horse industry as an owner/breeder of Thoroughbreds. 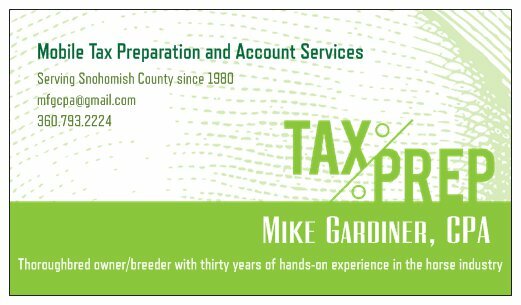 Mike Gardiner, CPA offers mobile tax preparation and account services.